The ACH Processing network allows for electronic debiting [and crediting] of checking and savings accounts. 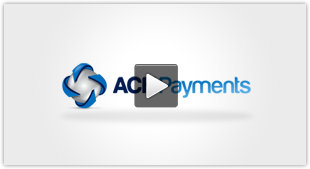 ACH Payments are an especially attractive option for recurring payments billers. In the US we have two main payment rails. One is credit/debit card processing and the second is the ACH Processing network-governed by NACHA. The major difference in how they work is that with Credit/debit card processing there is an authorization component. This means you can ascertain in near real-time that your customer has the requisite funds to be debited and place a hold on these funds. 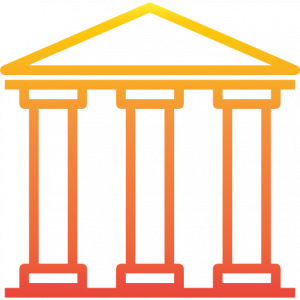 The ACH world operates in a batch environment where all transactions received on Monday get sent to the Federal Reserve for processing early Tuesday morning. The two banks involved have 48 hours to reconcile and settle the monies. There is a risk of the customer not having enough money or having a closed account. In the credit card world you are also typically funded faster than ACH [goes to the authorization component]. So why should you use ACH Processing over Credit Cards? First is the cost to process the payment. For recurring payments you could expect to pay an average of 2.5% or more as total cost. So for every $100 customer debit you have $2.50 in fees. Cutting your margin by 2.5% can be difficult for businesses especially those in competitive commoditized industries. In contrast that same $100 transaction might cost a flat 30 cents as an ACH Payment. So you save $2.20 per customer debit. Having 500 customers all on credit cards costs you over $10k per year more than an ACH option. Second is payment rejects or declines. Let’s say we have 500 clients billed via credit cards on a monthly basis. Credit card declines routinely exceed 10% with 15% common. Consider the business above billing 500 clients. 75 or so decline resulting in revenue shortage of $7500/month or $90k per year. Sure effort [read $ costs] will be made to rebill but you can count on 2 things: 1-You are going to lose revenue and 2-You are going to lose customers you just could not collect from. Contrast this with the ACH world. How many times in the past five years have you changed bank account? And how many new credit cards? Lost, stolen, new EMV chip card are reasons why each year up to 30% of credit cards vcan be reissued. It’s a VERY big deal for recurring billers. It’s easy to see why ACH decline rates are much lower, typically averaging sub 2%. 15% versus 2%—BIG reason why an ACH Payment option is MUST HAVE for recurring billers. So if your business relies on low risk recurring payments ACH Processing offers compelling advantages over credit cards.